If you’re looking to update the exterior of your Noblesville home, a newly landscaped yard might be what you need. It is the first thing that people will notice as they drive past your home. Landscaping companies around the Noblesville area offer a variety of common services such as mowing, laying mulch, fertilization, aeration, leaf removal, and other general maintenance for example pulling weeds or planting new flowers or trees. These services are usually offered in an annual service plan to make your yard beautiful all year round. If your yard is needing more than a simple refresh, landscaping companies offer landscaping design and installation services. These services may come at an extra fee. Building a new outdoor space first starts with the concept. Bring in a picture of the area that you’re working with and some ideas for the designer. The designer will ask you what you need or want in your design and develop that into what is practical for your space. 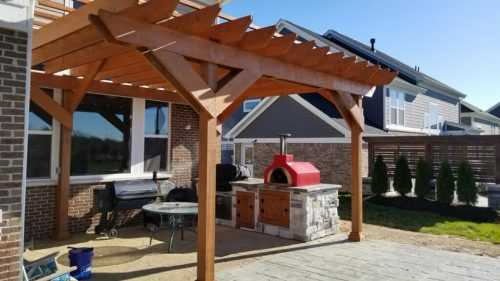 The landscaping designer will recommend designs based on what you want to enjoy outdoors like a pool, outdoor kitchen, fireplace, patio, or a garden. Finally, you will see a computer image of the prospective landscape design. It will show you exactly what your new space will look like including what kinds of materials and plants that will be used. 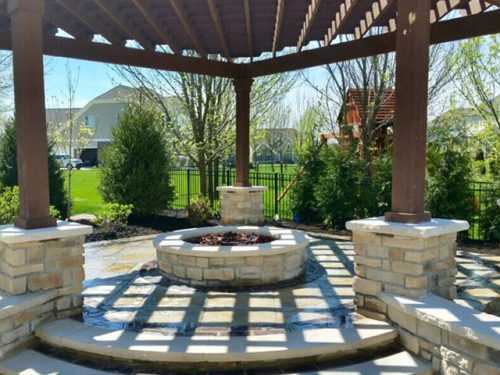 After you have approved the designs, the installation process begins and you will be able to see your landscaping design visions come to life with the help of a Noblesville Landscaping Company. 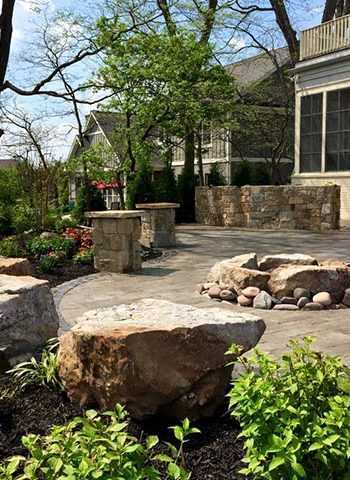 Country Gardens is your one-stop source for all of your Noblesville landscaping and design needs. There are no outside contractors and no need to worry about working with multiple companies. They will perform all of the services throughout the design and installation process. The designer and contractor will work closely together to make the design that was created in the previous phase a reality. The first step in installation is prepping the site and the soil for possible irrigation and trenches. Next, the materials that you have chosen will be delivered and installed according to your design. Country Gardens offers a variety of quality products that will withstand the coldest Indiana winters or scorching summer heat. They offer unique slabs of granite, flagstone, brick, and concrete that are durable and cost-effective. Country Gardens also has several exceptional patio options including pavers, natural stone, concrete and travertine that are available in a variety of shapes, sizes and colors. The last step to finishing your landscaping installation is planting. Adding trees, shrubs, and flowers will spruce up the area and complete your design. If you are not sure how to take care of the plants the staff will be available to answer any questions that you may have. Now that your landscaping remodel is complete you can sit back and enjoy the beautiful finished product for many years to come. If you are interested in working with Country Gardens on your landscape design fill out this questionnaire or contact the office at 317-339-7847 or send an email to [email protected] They will be happy to assist you in any way that they can.